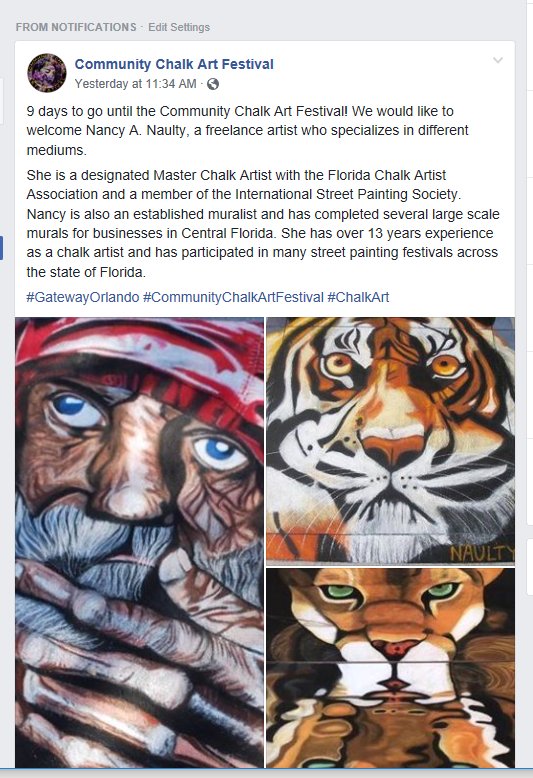 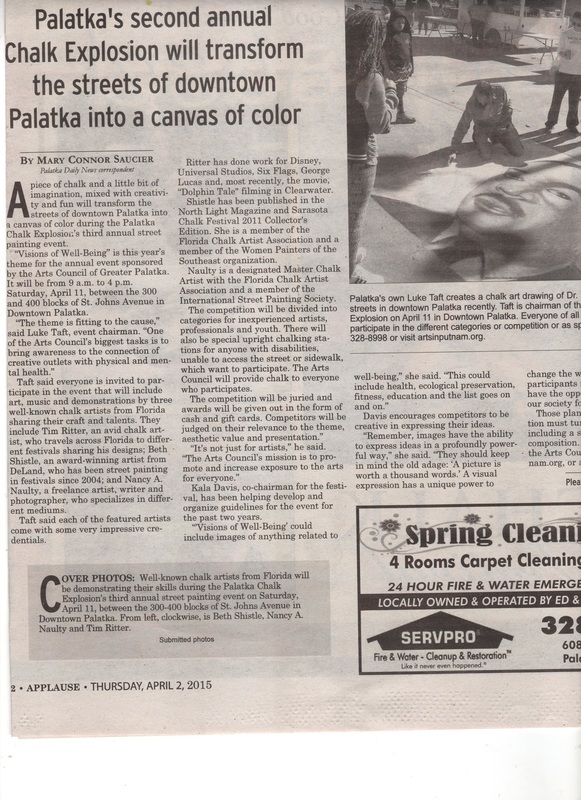 Press - Nancy A. Naulty - Freelance Artist.taking it to the streets! 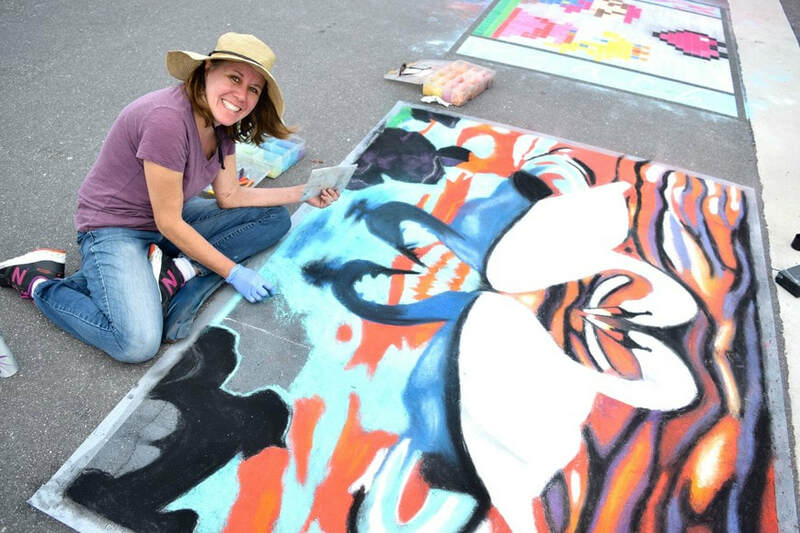 HORIZON WEST Bright colors popped against the cement as chalk artists brought their drawings to life during Hamlin’s Chalk Art Festival on Saturday, Feb. 16. 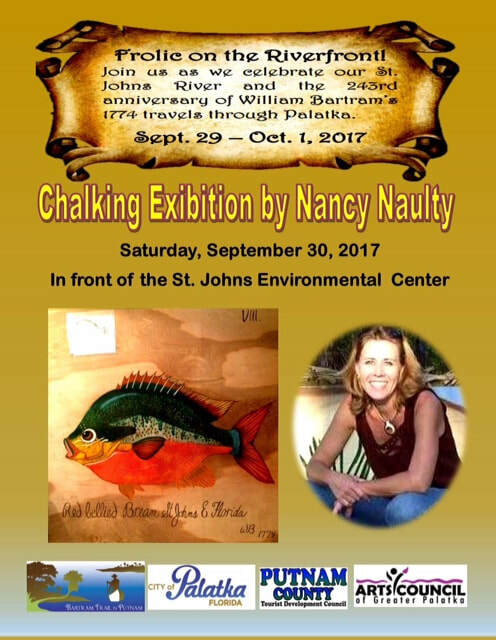 Seven artists and one team of three artists worked tirelessly for hours with chalk, water and more to create beautiful, love-themed pieces. 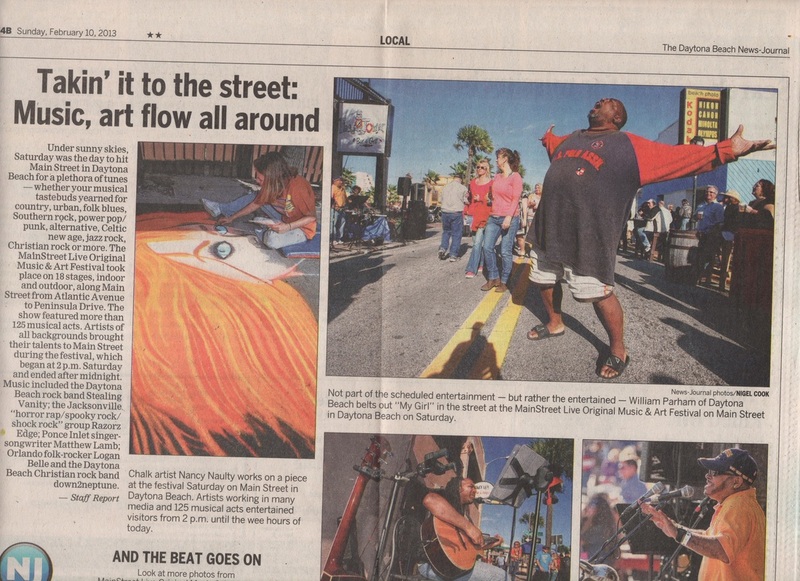 Artist Janet Tombros and “The Chalk Guys” — Hector Diaz and Ken Mullen — worked for hours on a 3D candy factory, while others created vintage valentine cards and more. 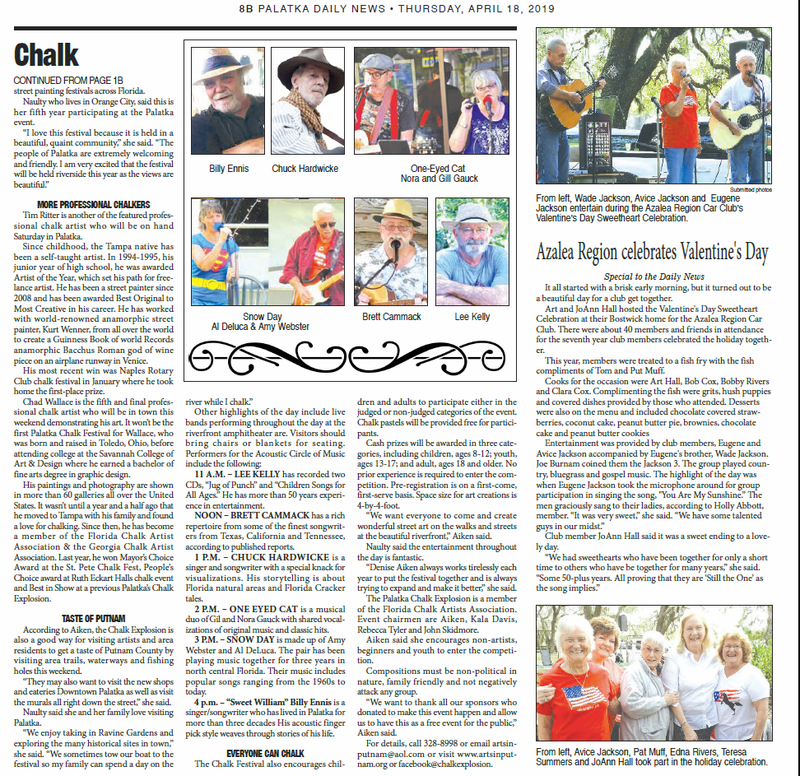 Additionally, Hamlin residents could purchase chalk of their own and a sidewalk square to draw in. 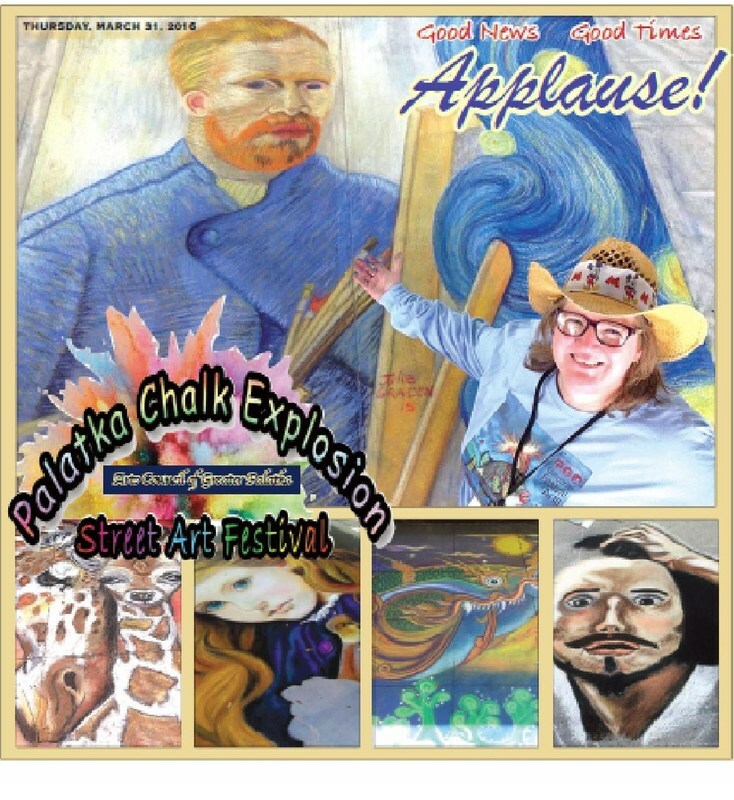 GFA and TBBCA’s Chalk Walk Tampa Bay Businesses for Culture & the Arts and Raymond James Gasparilla Festival of the Arts are thrilled to co-sponsor TBBCA Chalk Walk, Saturday March 4th & Sunday, March 5th, under the eaves of the Tampa Museum of Art. 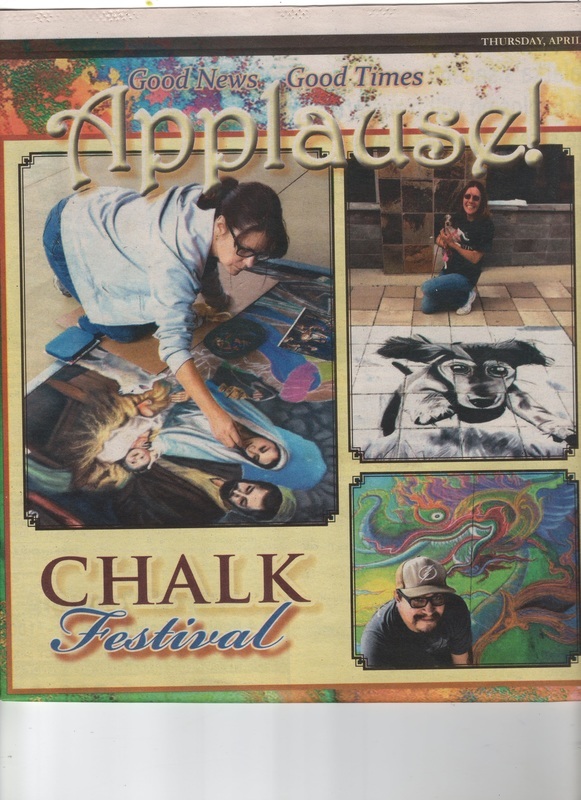 Come see 10 specially commissioned Chalk Artists bring their amazing 8’x8’ chalk drawings to life in this interactive live-art experience as part of the 47th Annual Raymond James Gasparilla Festival of the Arts. 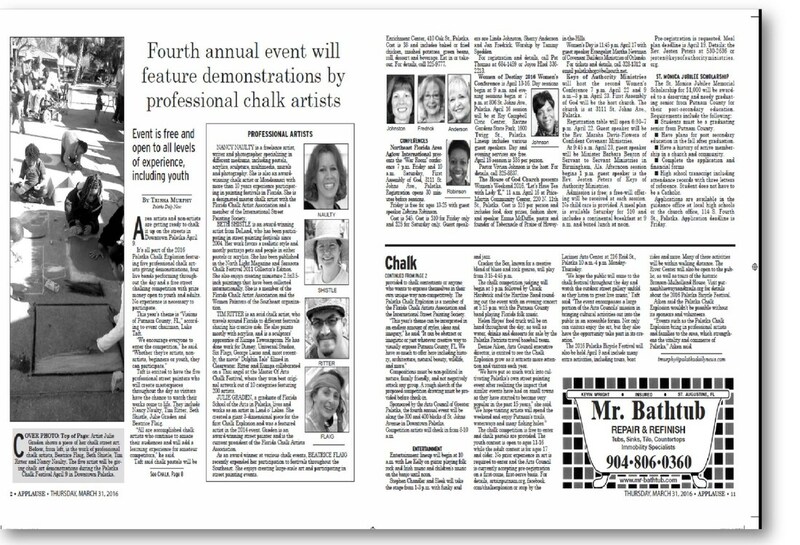 TBBCA Chalk Walks have been enjoyed by people of all ages and levels of art appreciation annually for the past 8 years. 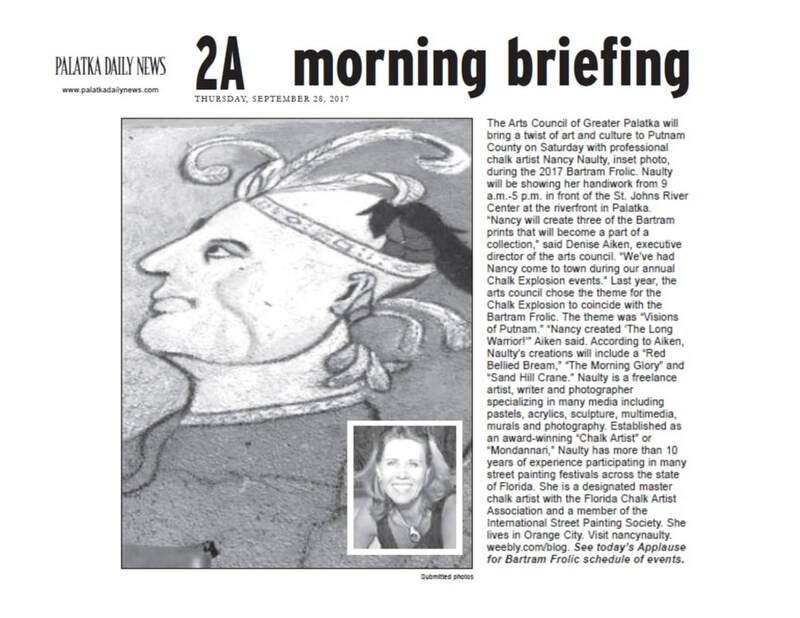 TBBCA is a non-profit that for over 27 years has been uniting businesses to champion arts and culture for a prosperous community. 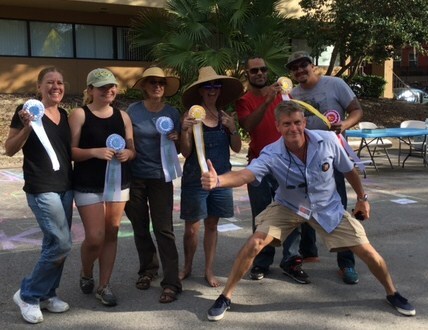 TBBCA provides advocacy and funding for artists, arts and cultural organizations, and arts education, including The Charlie Hounchell Art Stars Scholarships, helping talented Tampa Bay area high school students fund higher education in the arts. 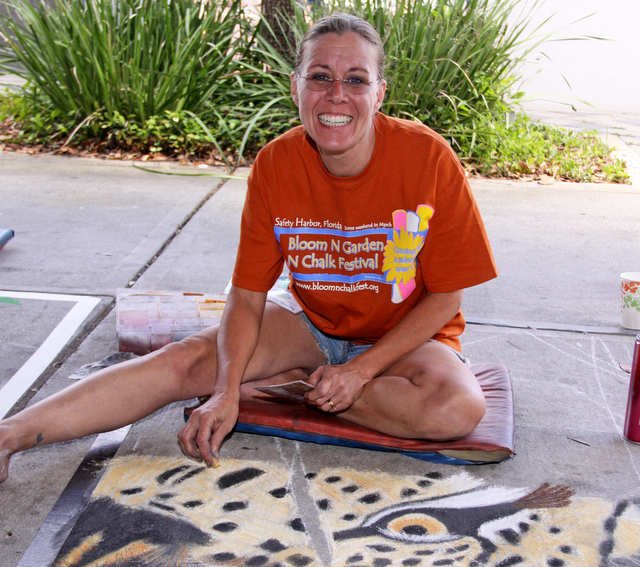 For more information about TBBCA, CHASS, Chalk Walk and to get involved supporting arts and culture in our community, visit www.tbbca.org or call 813-221-2787.